Mrs. Corazon Jazmines “Cora” Clark, longtime member of this community, beloved by her large family and many friends, departed this life on February 3, 2019 at St. Joseph’s Home in Spring- field. Mrs. Clark was born Maria Corazon Jazmines on June 24, 1927 in the Philippines, the oldest of six children of Dr. Mariano A. and Mrs. Felicissima Jazmines. She married Charles E. Clark on June 6, 1946 and immigrated to the United States in September of 1947. After living in Champaign-Urbana where Mr. Clark was a student, she lived for six years in Louisiana before returning to spend the rest of her life in Springfield. A devout Catholic, she was a member of Blessed Sacrament Parish for nearly sixty years. The mother of nine children, she was an active volunteer in parish activities as well as at Griffin High School and Sacred Heart Academy. She worked as a pharmacy technician at St. John’s Hospital for many years before retiring, and retained many friendships from those years. Mr. and Mrs. Clark were founding members of the Central Illinois Philippine American Society. She was also a member of the ABWA. 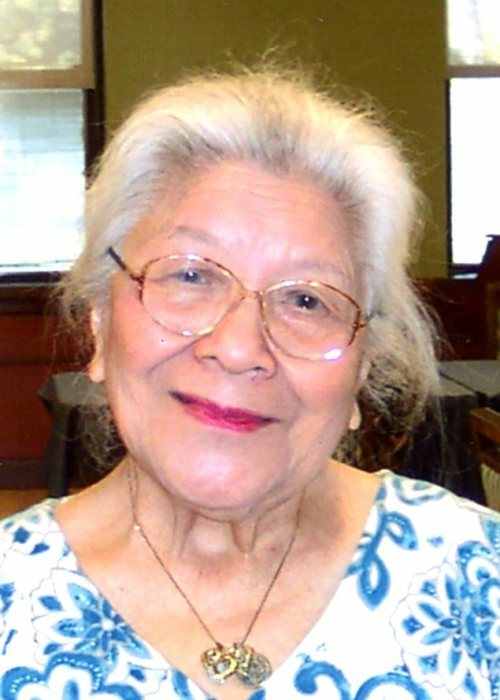 She loved to travel, seeing most of the world in her later years, but was always available to help her many friends and to help new Filipino and other Asian immigrants adjust to life in the USA. Her sunny outlook and many kindnesses endeared her to all who came in contact with her, not least in her final years as a resident of St. Joseph’s Home. An excellent cook, she loved to entertain. H. Clark; brothers, Pacifico and Mariano Jazmines; sister, Nenita Rillo; and a step-brother Luis Moro. She is survived by brother, Jabby Jazmines; sister, Lily Hernandez; sisters-in-law, Frances Clark and Linda Jazmines; her children, Charles (wife, Martha), Rose (husband, Jack) Lockwood, Robert (wife, Gerrie), Richard (wife, Nancy), Elizabeth (husband, Don) Gibbons, William (wife, Ann), John (wife, Peggy), and Kathy; as well as nineteen grandchildren; ten great-grandchildren; and many nieces and nephews. Visitation will be at Ellinger-Kunz & Park Funeral Home from 4-7:00 p.m. on Friday, February 8, 2019. Funeral Mass will be at St. Agnes Church at 10:00 a.m. on Saturday, February 9, 2019. Burial will follow at Rochester Cemetery. The family requests that memorials be to St. Joseph’s Home of Springfield or as memorial Masses at any Catholic Church.